great place to stop for a quick bite. 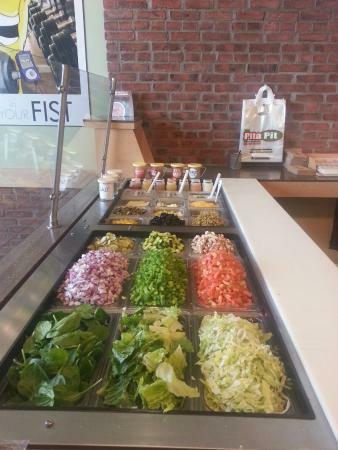 the veggies are fresh and a good selection to choose from. they are generous with the toppings. not too long a wait for food. they also have salads and smoothies. Good fresh food, friendly staff and clean which is nice. Pricey for what you get but overall it fits the bill. Kid Friendly. Very good spot to grab lunch. 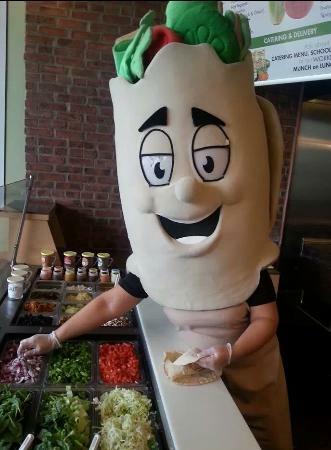 service was good and the food was very fresh. Service was fast and efficient. 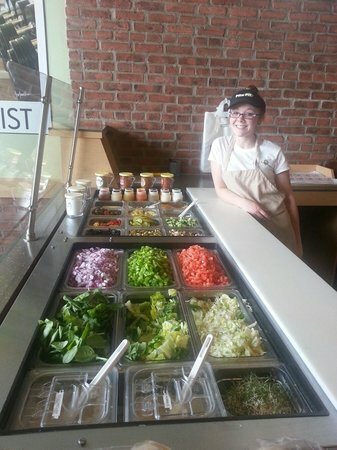 Very fresh pitas with lots of choices for veggies and sauces . Warmed in the press. Quick service and helpful staff . Menus easily seen above. The place was quite clean and modern. Very little seating. Food was fresh, but overall the pita was just ok. Toasted but still all cold inside. Always good food, and make it how you want it. The staff is helpful and knowledgable about the menu. Everything always tastes fresh and lots of options. Perfect for a quick grab and go home to eat. Quick and nice staff and always fresh. What else can you ask for.